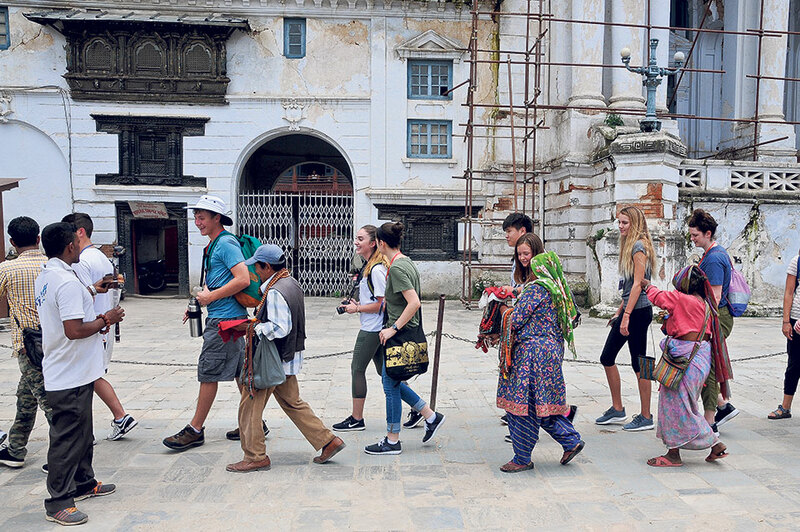 KATHMANDU, Feb 15: The country's tourism receipts increased by 27 percent in the first half of the current fiscal year, compared to data of the same period of FY2016/17. 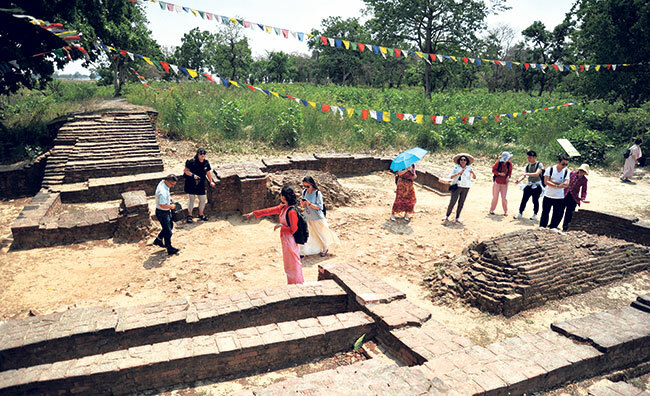 According to the Nepal Rastra Bank (NRB), the country earned Rs 33.7 billion from tourism sector in the first six months of FY2017/18 which is 27.5 percent more than the tourism receipts of the same period of last fiscal year. Tourist arrivals (by air only) in 2017 increased by 28.8 percent to 940,218 in 2017 compared to total arrival figures of a year earlier. Per day expenditure of foreign tourists in Nepal is estimated to reach US$ 70 in FY 2017/18, according to the tourism ministry. Such expenditure was $52 in FY2016/17. Similarly, average length of stay of foreign tourists was in FY2016/17 13.4 days. It is not expected to grow significantly in FY2017/18. “Tourism ministry estimates show that per day expenditure of tourists is likely to reach $70 in FY 2017/18. Average length of stay, however, is expected to remain around 13 days,” said Binayak Shah, general secretary of HAN. According to Shah room occupancy in HAN member hotels increased to 65 percent in 2017. “Room occupancy was around 60 percent in 2016,” Shah said, adding that growth in room occupancy can be considered satisfactory. Tourism entrepreneurs have termed the year 2017 as a satisfactory year for tourism sector. However, worrying fact is that expenditure of foreign tourists is not increasing at the desired rate due to unhealthy competition among tourism service providers. “Foreign tourists are not even spending even $100 per day. Increasing number of hotel rooms and other service providers have provided a plethora of options to tourists. 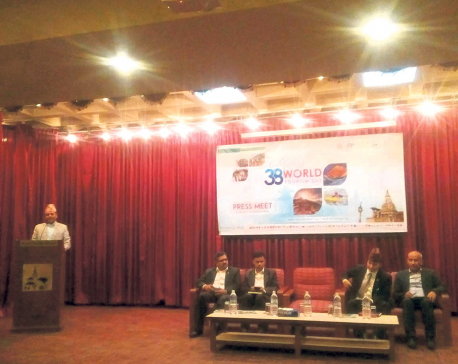 Most of them choose cheaper hotels and services,” said Sarad Pradhan, media consultant of Nepal Tourism Board (NTB). 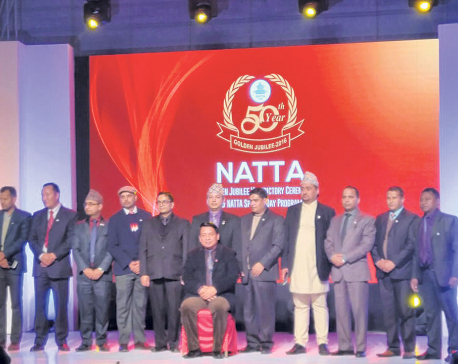 Entrepreneurs say that the efforts of private sector along with the initiatives taken by the government for promoting Nepal in the international market have produced good results for the industry. They added that increasing footfalls from China also contributed to revenue growth. Navaraj Dahal, president of Trekking Agencies' Association of Nepal (TAAN), said tourism earning increased in 2017 mainly due to increase in the number of foreign tourists. “However, we are yet to receive high-spending tourists. We need to take a new strategy to tap the high-end segment now,” added Dahal.